Michael Jackson and his fans have made their stance clear over and over again that Jackson is innocent and, of course, it’s worth noting that he’s been acquitted by our legal system. This film doesn’t stop that from being true. However, again, a film is not a trial, and “Leaving Neverland,” the controversial 4-hour documentary about two of Michael Jackson’s accusers, is a powerful demand to listen to the other side too. It’s not an easy listen. But, as we’re learning more and more with cases of abusive predators, we need to listen more carefully because the abuser often has the power and platform to yell louder. At its best, “Leaving Neverland” tries to balance the volume. “Leaving Neverland” isn’t a perfect film. There are too many drone shots of L.A. for one. There is probably a better film that could be made that is nearer a feature length and more condensed but one can imagine the director Dan Reed asking himself what he could possibly cut from these men’s confessionals. 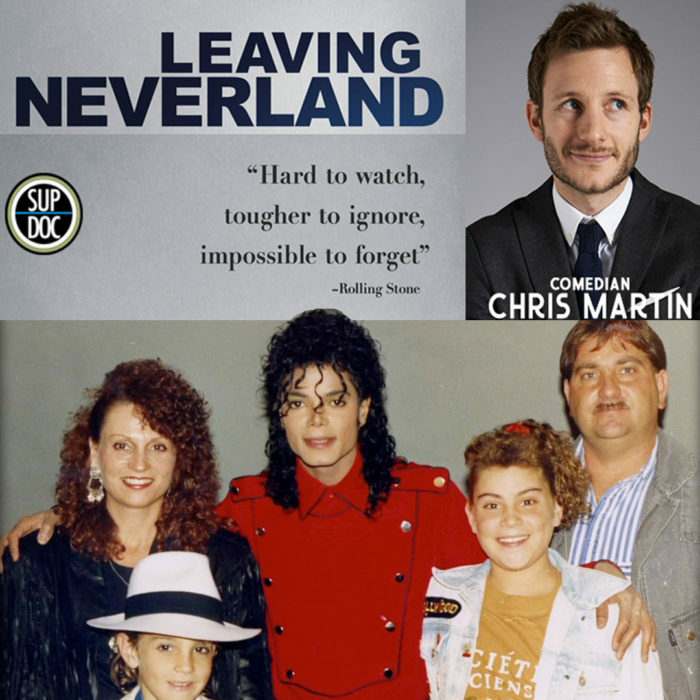 After all, “Leaving Neverland” is about listening to their sides of the story. You don’t have to believe them (although we do). We should add “allegedly abused”; it’s part of the complicated story that emerges over this four hour watch, which is potentially triggering in the graphic descriptions of its subject matter. You might have seen Chris Martin do stand up comedy on tour in the UK, USA Australia or New Zealand or on telly. His 2017 Edinburgh festival show “The One and Only Chris Martin” just got nominated for “Best Comedy Show” at the Amused Moose Comedy Awards. He has recently been on Live at the Comedy Store (Comedy Central), Alan Davies: As Yet Untitled, and done some acting in ITV’s Horrible Science. 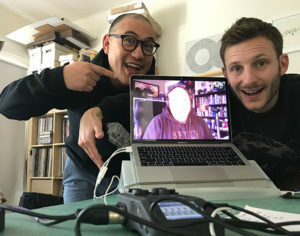 He also does two really fun podcasts with his friend Carl and one with his weird Australian Uncle Trevor which you can listen to anywhere in the world (probably excluding N Korea).